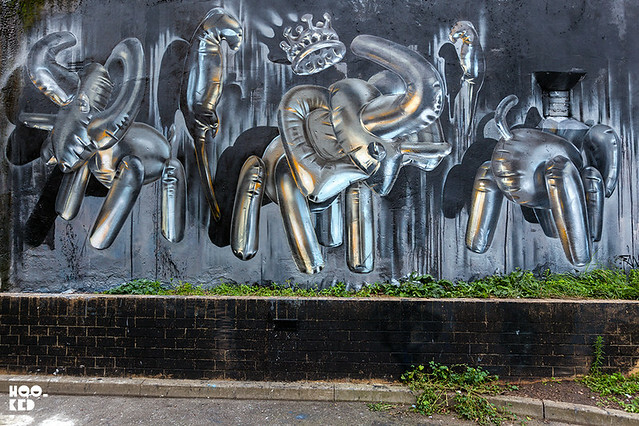 London-based graffiti artists and Horror Crew member Fanakapan returned to the East London last week and revisited this wall just off Brick Lane to the back of Pedley Street for his latest mural featuring a fun series of Elephants. 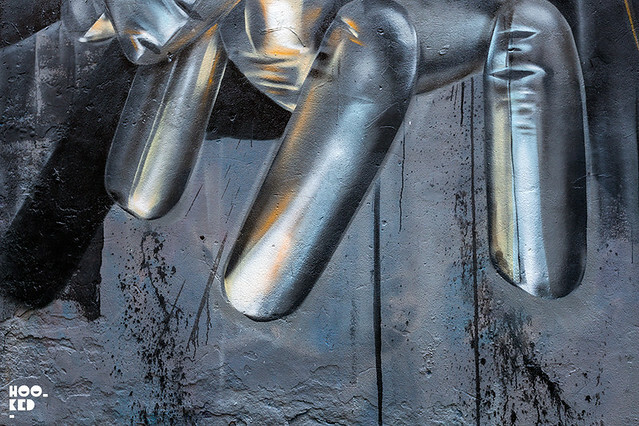 Fanakapan has been a regular at this location having painted this wall on a number of occasions with his elaborate oversized photorealistic helium foil balloon murals, often spending three to four days on each mural perfecting the reflections in these highly technical works. 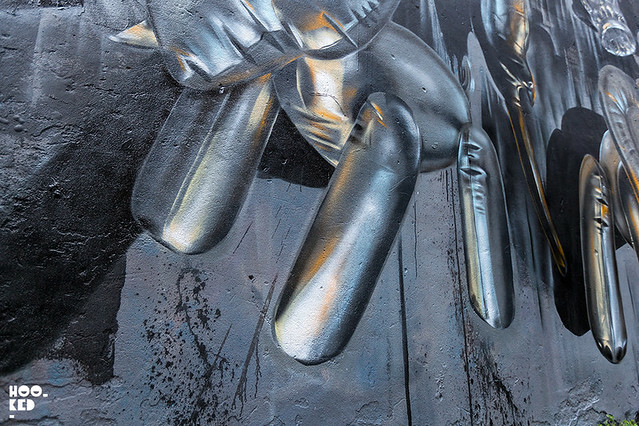 Fanakapan continues to impress with each new mural he has painted in what has become his signature style. Two of his previous Shoreditch works painted earlier this year are still high on our list of favorite London murals this year so far. 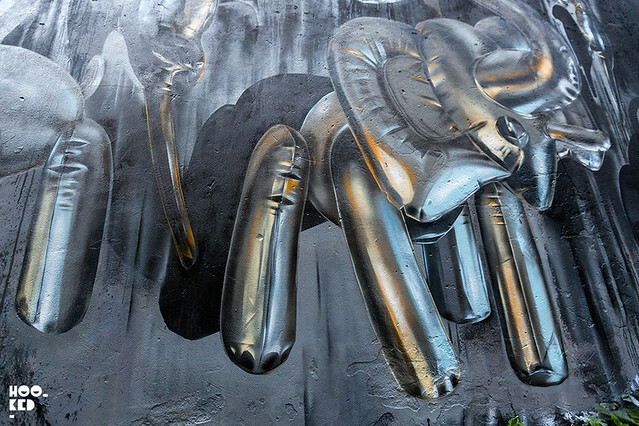 His 'Rise & Shine' piece previously painted on the same wall as his new Elephant mural and his 'Star' mural (pictured below) which is still on view in the Star Yard off Brick Lane were stand out pieces for us.